Move faster, jump higher and stay on the ice longer with the Quantum Blade from Eclipse Blades. Precisely engineered to the highest standards, the Quantum Blade is made from a harder 6005 T/5 Aluminum and features a permanently affixed, stronger, rust-resistant 440 C Stainless Steel runner that holds an edge longer. Its 7 foot radius allows for graceful, versatile freestyle movement and a cross-cut rake provides exceptional stability. It’s also the first aluminum blade that doesn’t need a specialty jig for sharpening, so you can get a consistent, long-lasting sharpening without hassle. We did all of the calculations so you can focus on what matters – defying gravity! 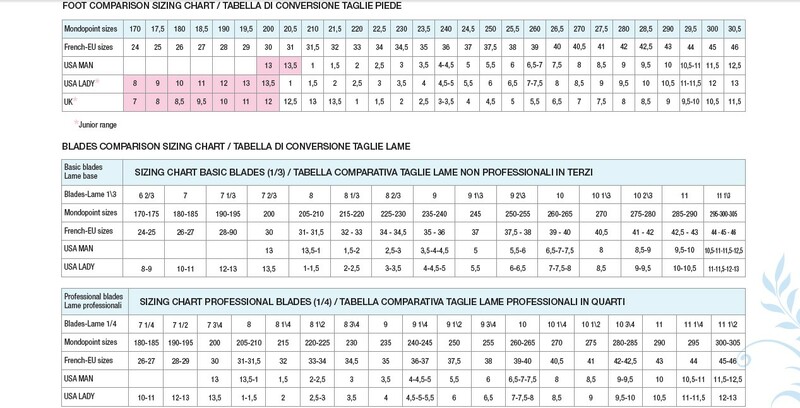 Blade Size 8" 8 1/4" 8 1/2" 8 3/4" 9" 9 1/4" 9 1/2" 9 3/4" 10" 10 1/4" 10 1/2" 10 3/4" 11"